The picture is very nice! I love little Skimble and Pumpkin! Mae is a great washing lady! Glad I could help! Skimble and Pumpkin are godd friends, but always very sad at first. 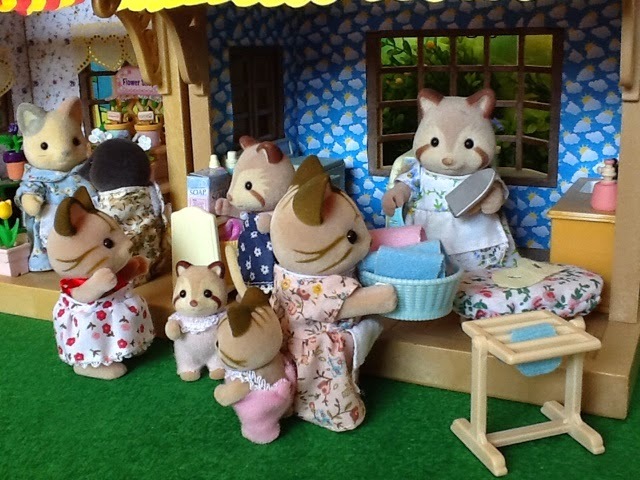 I think Mae is a great washing lady too! Oh thanks, great compliment coming from you! Your Laundromat is one of my favorite shop. It's really a great creation and it suits very well the small village concept!